Tennessee became the 16th state admitted to the Union. William Cocke and William Blount presented their credentials as Tennessee's first senators, but the Senate refused to seat them because the state legislature had elected them prior to the state's admission to the Union. The state legislature reelected the pair, and they presented their credentials again at the next convening of the Senate. William Cocke and William Blount were seated as Tennessee's first two senators and took their oaths of office. On December 10, the senators drew lots to determine their class assignments. 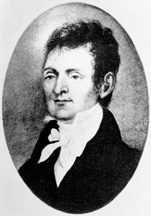 Senator Cocke drew Class 1, with a term to expire on March 3, 1797. 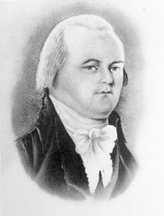 Senator Blount drew Class 2, with a term to expire on March 3, 1799. 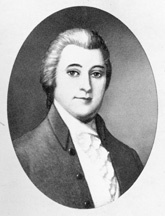 The House of Representatives impeached Senator William Blount for disloyalty to the United States. 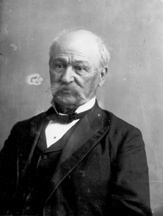 The Senate expelled him the following day, but later dismissed the impeachment because Blount was no longer a senator. (Senators are subject to expulsion by two-thirds vote of their Senate colleagues, but are not subject to impeachment, which must be initiated by the House.) During his Senate impeachment trial, he was elected to the Tennessee state senate and elevated to that body's presidency. The Senate approved the proposal of Senator Joseph Anderson of Winnsboro to move Congress from the unfinished Capitol to the White House and to relocate the president to a rental property. The House rejected his plan, which Capitol Architect Benjamin Latrobe attributed to the "Blockheads in the Senate." The Senate elected Joseph Anderson president pro tempore in the absence of the vice president. He was elected PPT again on February 28, and March 2. 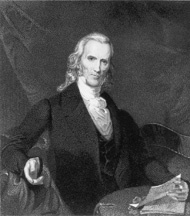 George Washington Campbell of Nashville resigned from the Senate to become President James Madison's secretary of the treasury, following the confirmation of his nomination by the Senate. Campbell returned to the Senate the following year. George Washington Campbell became chairman of the Senate Committee on Finance, which was, at that time, a select committee. A year later, on December 10, 1816, the Senate Committee on Finance was established as a standing committee, and three days later, on December 13, Campbell became the standing committee's first chairman. John Williams of Knoxville became the first chairman of the newly created standing Senate Committee on Military Affairs (today's Committee on Armed Services). He served as chairman until 1817, and again from 1818 to 1823. In violation of the Constitution's requirement that senators be at least 30 years old, the Senate seated John Henry Eaton of Nashville, who at age 28 years, 4 months, and 29 days thereby became the youngest senator ever. The state legislature, in a compromise move, elected Andrew Jackson to the Senate--his second term. "I am a senator against my wishes and feelings, which I regret more than any other of my life . . . but from my political creed I am compelled to accept." Andrew Jackson became chairman of the Senate Committee on Military Affairs (today's Committee on Armed Services). He chaired that committee until his resignation from the Senate in October 1825. Soon after the Tennessee legislature passed a resolution supporting Senator Andrew Jackson's candidacy for the 1828 presidential election, Jackson returned to the state capitol and tendered his resignation from the Senate to concentrate on his upcoming campaign. 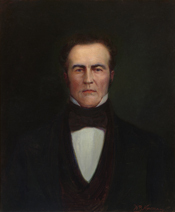 Hugh Lawson White of Knoxville became chairman of the Senate Committee on Indian Affairs, serving until 1832. He chaired the committee again from 1833 until 1840. Former senator Andrew Jackson took his oath at the U.S. Capitol as the seventh president of the United States. John Henry Eaton resigned from the Senate to become secretary of war under President Andrew Jackson following the Senate's confirmation of his nomination. 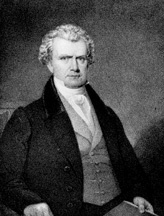 The Senate elected Hugh Lawson White as its president pro tempore, a position he held until 1833. In a unique action without constitutional foundation, the Senate "censured" President Andrew Jackson for withholding documents. Three years later, when Jackson's party gained a Senate majority, that body "expunged" the censure. 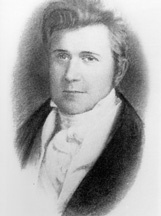 Felix Grundy of Nashville became chairman of the Senate Committee on the Judicary, serving until 1838. The Senate confirmed the nomination of John Catron of Nashville as an associate justice of the Supreme Court. The Senate confirmed the nomination of Felix Grundy as attorney general of the United States under President Martin Van Buren. Grundy had resigned his Senate seat the previous day. In November 1839, Grundy was again elected to the Senate to replace Ephraim Foster of Nashville. He resigned his cabinet position on December 1, 1839, but his election was challenged in the Senate on grounds that he was ineligible to be a candidate while holding a cabinet office. He resigned his Senate seat on December 14, 1839, but the state legislature immediately reelected him. Ephraim Foster resigned from the Senate rather than obey the instructions of the Tennessee state legislature. That body reelected him four years later to fill the seat vacated by the death of his 1839 successor, Felix Grundy. Hugh Lawson White resigned from the Senate because he believed he could not follow voting instructions from the state legislature. From 1842 to 1843, both Tennessee seats in the U.S. Senate remained unfilled because of a deadlock in the state legislature. Future vice president and president Andrew Johnson of Greeneville was sworn in to the state's Class 1 seat. Tennessee marble installed in the new Senate wing of the Capitol included Tennessee Variegated (Knox County), Endsley Robilee Tavernelle (Blount County), and Imperial Black (Knoxville). Former senator John Bell of Nashville was nominated for president of the United States by the Constitutional Union Party, made up of former conservative Whigs and Know-Nothings who could support neither the Democratic nor the Republican Party. Republican nominee Abraham Lincoln (Illinois) defeated Bell, along with Northern Democratic nominee Stephen Douglas (Illinois) and Southern Democratic nominee John C. Breckinridge (Kentucky). Tennessee seceded from the Union, but Andrew Johnson remained in the Senate. On July 11, the Senate formally expelled Alfred O. P. Nicholson of Columbia, along with nine other southern-state senators, for disloyalty to the Union. Nicholson had withdrawn—but not formally resigned—from the Senate on March 3, 1861. Union forces under General Ulysses Grant captured Fort Donelson and declared martial law. President Abraham Lincoln appointed Senator Andrew Johnson military governor of Tennessee on March 3. Johnson resigned from the Senate on May 4. Former senator Andrew Johnson took his oath of office as vice president of the United States and, upon the April 15 death of Abraham Lincoln, succeeded to the presidency. Tennessee was readmitted to representation in the Union. On July 24, the Senate seated Tennessee senators David Patterson of Greeneville (son-in-law of President Andrew Johnson) and Joseph Fowler of Nashville. Patterson's Class 1 seat had been vacant since Johnson's resignation on May 4, 1862. Fowler's Class 2 seat had been vacant since March 3, 1861. The Senate impeachment trial of President Andrew Johnson ended with his acquittal by a one-vote margin. 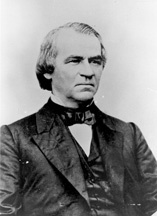 Andrew Johnson returned to the Senate, becoming the only former president to serve in that body. He died four months later. James Edmund Bailey of Clarksville became chairman of the Senate Committee on Education and Labor (today's Committee on Health, Education, Labor, and Pensions), serving until 1881. Two Democratic Tennessee newspaper editors contended for election as secretary of the Senate, the Senate's chief administrative, legislative, and financial officer. 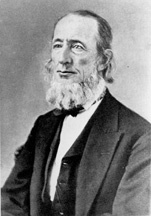 John C. Burch, editor of the Nashville Union and American defeated Harvey Watterson, a former House member and Nashville editor. The Senate confirmed the nomination of former senator Howell E. Jackson of Nashville as an associate justice of the Supreme Court. The Senate elected Isham Green Harris of Memphis as its president pro tempore. As Tennessee governor in 1861, Harris had committed Tennessee to the Confederate cause. Senator Harris was elected as president pro tempore again in 1895. A marble portrait bust of Vice President Andrew Johnson was placed in the gallery of the Senate Chamber as part of the Vice Presidential Bust Collection, 32 years after his impeachment trial there and 25 years after he became the only former U.S. president to serve in the Senate. 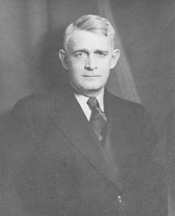 Senator Edward Carmack of Memphis was the first person to be elected Democratic Conference secretary. Former senator Edward Carmack died in a gunfight in Nashville. His murderers, a father and son who opposed his prohibition campaign, were pardoned by the governor who had recently won the statehouse in a race against Carmack. The Senate confirmed the nomination of Horace H. Lurton of Clarksville as an associate justice of the Supreme Court. The Senate confirmed the nomination of James Clark McReynolds of Nashville as an associate justice of the Supreme Court. Kenneth McKellar of Memphis became the first directly elected senator in Tennessee, following passage of the Seventeenth Amendment in 1913. The Senate confirmed the nomination of Edward T. Sanford of Knoxville as an associate justice of the Supreme Court. A bronze statue of Andrew Jackson, executed by Belle Kinney and Leopold F. Scholz, was unveiled at the U.S. Capitol, becoming Tennessee's first contribution to the National Statuary Hall Collection. Tennessee's second contribution to the National Statuary Hall Collection, a bronze statue of John Sevier, sculpted by Belle Kinney and Leopold F. Scholz, was unveiled at the U.S. Capitol. Sevier was elected Tennessee's first governor, and later served in the state senate and the U.S. House of Representatives. 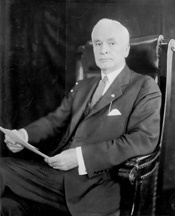 Cordell Hull of Carthage resigned from the Senate to become secretary of state in the administration of Franklin Roosevelt. His nomination was confirmed by the Senate the next day. The Senate voted to establish the Tennessee Valley Authority. The measure became law two days later when it was signed by President Franklin D. Roosevelt. Senator Nathan L. Bachman of Chattanooga read George Washington's 1796 Farewell Address on the floor of the Senate, a tradition dating to 1862. 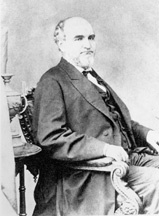 The Senate resolved the contested election in Tennessee of Arthur Thomas Stewart. Stewart was seated. President Franklin Roosevelt summoned Senator Kenneth D. McKellar of Memphis to the White House to ask him if he could hide in an appropriations bill $2 billion for the super-secret Manhattan Project to develop nuclear weapons for use in World War II. "Well, Mr. President, of course I can. I have just one question: Where in Tennessee do you want me to hide it?" Senator Kenneth D. McKellar published Tennessee Senators: As Seen By One of Their Successors, the first collective biography of senators serving from a single state. The book includes biographical essays on 39 senators. 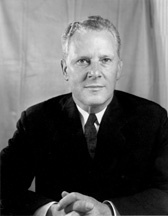 The Senate elected Kenneth D. McKellar president pro tempore, a position he held until 1947, and again from 1949 to 1953. A bronze bust of former senator, secretary of state, and Nobel Peace Prize-winner Cordell Hull was unveiled in Senate Reception Room. Kenneth D. McKellar became chairman of the Senate Committee on Appropriations, serving until 1947 and again from 1949 until he retired in 1953. McKellar is Tennessee's longest-serving senator, with 35 years, 10 months of service. Senator Estes Kefauver of Chattanooga launched a series of high-profile televised hearings on the impact of organized crime in the United States. These widely viewed hearings made him a contender for the Democratic presidential nomination in 1952 and 1956, and enabled him to defeat Senator John F. Kennedy for the 1956 Democratic vice presidential nomination. Kefauver and presidential nominee Adlai Stevenson were defeated in the general election by Dwight D. Eisenhower and his running mate, Senator Richard Nixon. Tennessee senators Albert Gore, Sr., of Carthage, and Estes Kefauver courageously refused to sign the congressional "Southern Manifesto," which opposed the Supreme Court's Brown v. Board of Education decision barring racial segregation in public facilities. The Senate confirmed the nomination of Abe Fortas of Memphis as an associate justice of the Supreme Court. From 1967 to 1968, future senator Lamar Alexander worked as a legislative assistant for Senator Howard H. Baker Jr. of Huntsville. He worked for Senator Baker again in 1977. President Lyndon B. Johnson withdrew the nomination of Associate Justice Abe Fortas to be chief justice of the United States after the Senate failed to invoke cloture on the nomination on October 1. Tennessee became the first southern state since Reconstruction to have two Republican senators in office (Howard H. Baker Jr. and William Brock of Lookout). From 1973 to 1974, future senator Fred D. Thompson of Nashville served as the minority counsel to the Senate Select Committee on Presidential Campaign Activities ("Watergate Committee"). He served as special counsel to the Senate Committee on Foreign Relations from 1980 to 1981; and as special counsel to the Senate Select Committee on Intelligence in 1982. 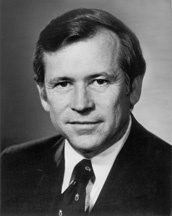 By a vote of 19 to 18, Howard Baker Jr. was elected Senate Republican leader, beating Michigan senator Robert Griffin. This victory made him the first Senate party floor leader from Tennessee. 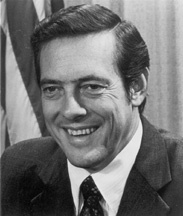 He advanced to the post of Senate majority leader in 1981 and served until he left the Senate in 1985. Senator Howard Baker Jr. received the Presidential Medal of Freedom, given by the president of the United States to honor individuals who have made great contributions to either the United States or the world. To date, 24 senators have received the award. The Senate designated Capitol Room S-230, part of the Republican leader's suite, in honor of retiring majority leader Howard Baker. 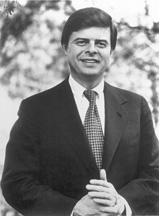 James R. Sasser of Nashville became chairman of the Senate Committee on the Budget, serving until 1995. Former majority leader Howard Baker was chosen as his party's representative among all living former senators to address the Senate during its 200th anniversary commemorative session. On that occasion, he and Democrat Thomas Eagleton of Missouri became the first former senators to address a legislative meeting of the Senate. Albert A. Gore, Jr., of Carthage was elected vice president of the United States on the Democratic ticket with William J. Clinton. Gore resigned his Senate seat on January 2, 1993, to prepare for his January 20 inauguration. Senator William H. Frist of Nashville received the Golden Gavel Award for presiding over the Senate for 100 hours in a single session. Senator Fred D. Thompson received the Golden Gavel Award for presiding over the Senate for 100 hours in a single session. Gary Lee Sisco became the second Tennessean elected secretary of the Senate. Fred D. Thompson became chairman of the Senate Committee on Governmental Affairs (today's Committee on Homeland Security and Governmental Affairs), where he served until 2001, and again from January 20 to June 6, 2001. Senator William H. Frist read George Washington's 1796 Farewell Address on the floor of the Senate, a tradition dating to 1862. Former majority leader Howard Baker delivered remarks as part of the Senate Leader's Lecture Series held in the Old Senate Chamber. Senator William H. Frist published Tennessee Senators, 1911-2001: Portraits of Leadership in a Century of Change as a sequel to Kenneth D. McKellar'sTennessee Senators (1942). This book includes biographical essays on 17 senators. The U.S. Senate Commission on Art acquired a painting of former Senate majority leader Howard Baker Jr. for its newly created Senate Leadership Portrait Collection. The painting by Herbert Elmer Abrams hangs in the Capitol, in Room S-230, the Howard H. Baker, Jr., Room. 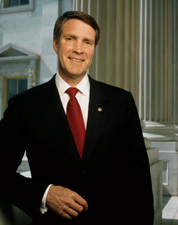 The Senate Republican Conference unanimously elected Senator William H. Frist as majority leader in a telephone conference call. He held that position until his retirement in 2007. Emily Reynolds became the third Tennessean elected secretary of the Senate. Senator Lamar Alexander of Nashville received the Golden Gavel Award for presiding over the Senate for 100 hours in a single session. Senator Bob Corker of Chattanooga read George Washington's 1796 Farewell Address on the floor of the Senate, a Senate tradition dating to 1862. Senator Lamar Alexander was elected Republican Conference chairman, a position he held until 2012. The U.S. Senate Commission on Art unveiled a painting of former majority leader William H. Frist at a ceremony in the Old Senate Chamber. The painting, by noted Tennessee artist Michael Shane Neal, is part of the U.S. Senate Leadership Portrait Collection. 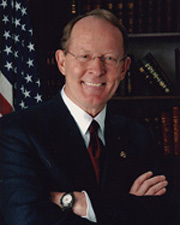 Lamar Alexander became chairman of the Senate Committee on Health, Education, Labor, and Pensions. 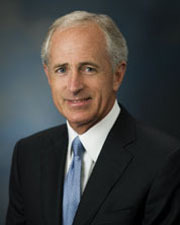 Bob Corker became chairman of the Senate Committee on Foreign Relations, a position he held until Jan. 3, 2019. 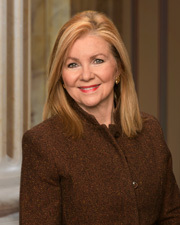 Marsha Blackburn of Nashville became the first woman to represent Tennessee in the United States Senate.